Our Experience is vast and covers hundreds of sectors a few of which you can find below - All enquiries welcome! CVs for Graduates, Finance, Agriculture, Music, Business, Commerce, and various other areas. Are you constantly overlooked for new positions, new contracts and/or promotions while those with fewer qualifications and skills than you seem to do better? We know how! Over 99% of our clients achieve interview with their first application. Wouldn't you like to land your dream role? Our CV Specialist writing services will help raise the ratio of interest in your CV and skills; maximise your opportunities and entice recruiters to move quickly. Want to receive many more phone calls, invites to interview and job offers than ever before! Then call us today FREEPhone: 0800 170 7740 Mobile: 07968 1212 69. Although professional CVs are the main core of our business at CV Specialist, we are often asked to assist in other areas. Having already used our services Entrepreneurs, CEOs and Directors have come back to us for assistance with Business Plans and Cash-Flow Projections- successful in achieving funding; B2B Introductory Letters which have been pivotal in our clients going on to win multi-million pound contracts, and more. Our years of experience in business management have given us a tremendous insight into what the perfect solutions are. The job market is tough! Let us help give you the edge over your competitors. Doing so, will undoubtedly be the best move you ever make. Professional and Bespoke CVs as individual as you! We offer guarantees! Nothing pleases us more than to hear that yet another client has achieved their targeted or dream role; whether they are seeking a new position after being unemployed due to sickness or other commitments, a new career move, a complete career change, a step-up position or promotion, a sideway position, an apprenticeship, or trainee position, a military to civilian position, or a new contract we offer the same high level of service. We are highly enthusiastic and professional and we know from the feedback we receive that our services work! Perfect CVs and Resumes - We love what we do! Our years and years of expertise in sitting on the other side of the desk, make it easy for us to uncover just why your present CV is being overlooked. But what’s more, our years and years of successful CV writing prove to us that we are doing it right as our customers continue to win interviews. We know how to address your CV so that it not only goes to the right person, but ensures that you are immediately seen as the best possible candidate for interview. The perfect solution! Isn’t that what you want? Perfect CVs every time - Thousands of ways that work! We write original and articulate content, that is focused and in line with the recruiter’s expectations and wish-list. Our clever tactics have recruiters exclaiming in joy, often rushing to the phone to ensure they don’t let the ideal candidate slip through their net. Changing your job can be life-changing! From the feedback we receive, we know that we have helped thousands of people make successful career moves, career transitions, progress their career and find happiness in their place of work. Let us help you! Everyone knows we can and many come back to us when they are further progressing their career. You know you are the perfect candidate but you don’t know whether your CV needs substantial revision, or tweeking? How do you get taken seriously? Empower your job applications by using our CV Specialist writing services and attain an awesome and successful CV. You know, it makes sense! Let us help you sharpen, focus and add drive to your job applications. It will definitely empower you; lift your confidence and, give you a positive way forward. Call Mary: FREEPhone: 0800 170 7740 or call Mobile: 07968 1212 69. Refs can be found on Linkedin, below and in our office. Career Help - Let us help you step-up! Our impeccable standards at CV Specialist, are well known throughout the whole of the UK and the world in general. Using structured strategies and methodologies which are known to work, we write CVs which assist all manner of individuals from School-leavers and Graduates to the most Senior Professionals in Management, as well as CEOs, Directors and Global Executives, to achieve their aims. Please see just a few of our many refs below. 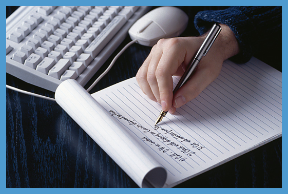 Our CV writing strategies are known to excel the majority. To maximise your interviews and call-back ratio we use terminology which is accurate, focused and in direct alignment with the level of position sought, be you a graduate or the most Senior Professional. In addition we use words in your CV which will entice the recruiter to call you back immediately. Let’s hone your CV until its perfect and on track! We write and proof-read all CVs, cover letters and application forms to ensure they promote our clients professionally. We also ensure we give you a format that is compatible with all devices.